Georgia celebrates Armed Forces Day each year on April 30. It commemorates the establishment of the present-day Georgian Armed Forces in 1991. The Armed Forces were first established in Georgia in 1917. In 1921, Georgia became part of the Soviet Union, and its own armed forces ceased to exist. After the dissolution of the USSR, they were re-established in their current form. The Georgian Armed Forces were created on April 30, 1991. 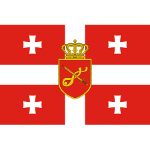 The Armed Forces of Georgia operate under the authority of the Ministry of Defense. They consist of the Land Forces, Special Forces, and National Guard. The country’s Air Force is not a separate branch anymore, as it was incorporated into the Land Forces in 2010. The Naval Forces merged with the Coast Guard in 2009. The Coast Guard is under the authority of the Ministry for Internal Affairs, it is not part of the military. Georgian Armed Forces Day is a professional holiday dedicated to the country's military personnel. Military servicemen are recognized and honored on the occasion. The holiday is marked with numerous festive events that take place in military units throughout Georgia. Solemn remembrance ceremonies are held in the memory of the perished soldiers.